We did it! The big 300. In the last 3 years we have been pioneering Design Sprints — from Prototyping the future of Cod Fishing in the Baltic Sea to evolving Customer Experiences of brands across the globe. Over that time we have designed and facilitated thousands of people through processes. But first: some credibility. Here are a few clients we’ve designed and run Sprints for across the globe. 1: Start Small. Scale Strategically. No organisation or challenge is too big or too small for Sprints. The key is to start small — with a clear tangible challenge — and to scale over time, learning from real data along the way. We have run sprints with groups as diverse as 300 global executives — to 5 local trainees to 20 cross-disciplinary teams on challenges ranging from the ultra practical to cosmically visionary. Sometimes a single half day session is enough to solve a critical challenge, whereas other scenarios require weekly series of Sprints to unpick the right challenges and implement valuable solutions. 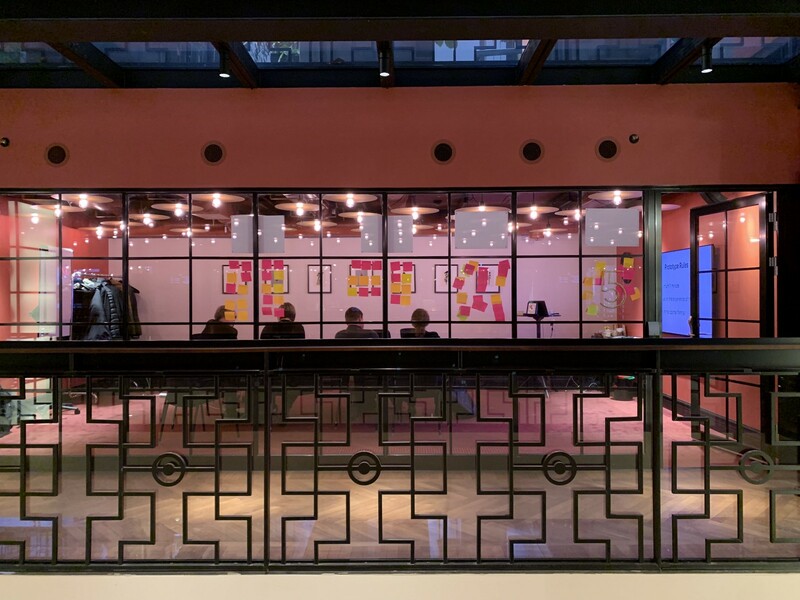 Designing a bespoke process and leading teams carefully though it is a fine art, but done right can transform a room full of rowdy internal politics into a lean mean collaborative machine. Done wrong and the whole approach can backfire and you end up with a mutiny on your hands. So: invest in creating a process that fits you and your team. We have adapted our process, Sling, to work with clients as diverse as WWF Berlin and Wieden+Kennedy London, from boardrooms to terminal floors. Once you have the process — find the right facilitation style — and you’re away. If you need help with this, we run courses in Facilitation and Process design. Contact Joe to find out more. No article about Sprints would be complete without a post-it-note heavy image. This time with snapshots of Experience Mapping, Interface Prototyping and horses. 3: Discomfort Invigorates the Imagination. We found that, against the odds, the hardest teams to Sprint with are internal innovation teams sitting at their office. Whilst putting all the experts together sounds like a sure-fire route to success, it often creates complacency and too much psychological safety. And that’s not what creativity is about. Go off-site — mix up teams — bring in external perspectives — make people swap clothes. Whatever you do: don’t let the group gang up or sit back into their comfort zone. We have a bunch of process elements and facilitation tricks designed to do exactly that. Take yourself and your team out of your comfort zones. Or at least out of your everyday office. We’ve run Sprints from Riga to New Jersey, conference centres to climbing centres. Bonus! Create a Framework for Innovation. Sprints are a powerful tool for igniting a culture of innovation — but organisational change requires more than one-off experiences, which is why defining and implementing an innovation framework can help harness the value and impact of Sprints throughout your organisation. Our modular Sprint toolbox, Sling, allows us to adapt rapid process into the complex workings of organisations. Our Tomorrow Framework allows us to synchronise, systemise and scale the exploration of the unknown for lasting change. Want to learn more about our Tomorrow Framework? Talk to Karin. She’s the pro when it comes to lasting change, so you’ll be safe in her hands. Another Tomorrow systemise the exploration of the unknown. 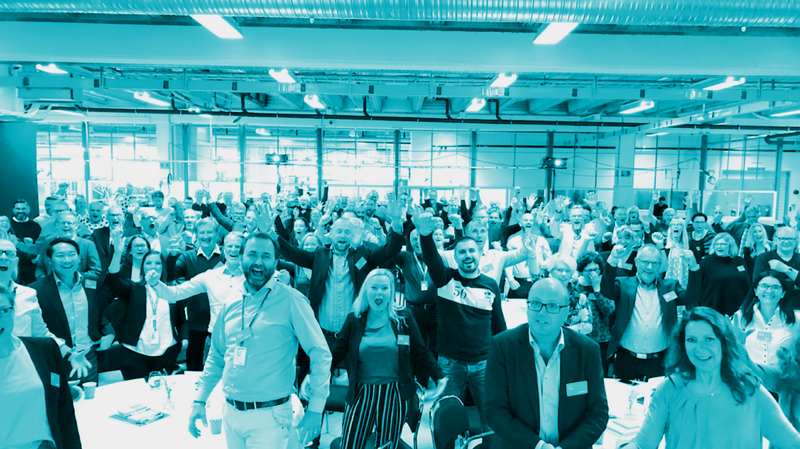 Based in Stockholm and working globally their SWAT team of problem solvers design, facilitate and implement ways for organisations to navigate the near-future.